The Court of Appeals for the 8th Circuit has set oral argument for January 13, 2014 on the appeal from the dismissal of the government's civil forteiture case against the Mask of Ka Nefer-Nefer in the St. Louis Art Museum. 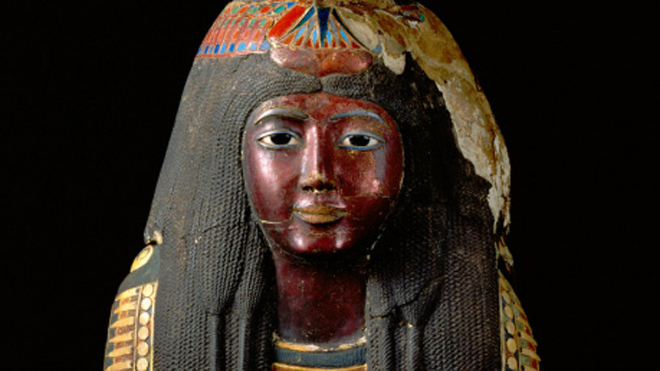 After a report from the United States that settlement talks in the civil forfeiture case against the Mask of Ka Nefer Nefer at the St. Louis Art Museum were sufficiently promise to suspend the briefing schedule in the Court of Appeals, the government has advised the court that those talks have failed. The government’s appellate brief is now due June 3, 2013. Government Tries to Save "Mask of Ka-Nefer-Nefer" Case Against St. Louis Art Museum, but Did U.S. Miss Its Own Deadline? After the U.S. District Court denied the government’s Motion to Reconsider its earlier dismissal of the claim to the Mask of Ka-Nefer-Nefer in the St. Louis Museum of Art, the government has tried another procedure to revive the case, one that is normally unremarkable. A review of the filings in the case raises the question, however, of whether that attempt is too late and the government’s only hopes now rest on an appeal. That is, the government may have promised the Court that it would file any request to file a new complaint of the sort it just did by no later than two weeks ago and missed its own self-imposed deadline. Fresh on the heels of our coverage here and here and in the Atlantic, the U.S. District Court in St. Louis has rejected the U.S. government's efforts to save its case to reclaim the Mask of Ka-Nefer-Nefer. Malcom Gay in the Atlantic reports on the dismissal of the federal government’s civil forfeiture action under U.S. customs laws United States v. The Mask of Ka-Nefer-Nefer, and the broader quesions about what a museum should do when faced with such claims. In April, the U.S. District Court allowed the St. Louis Museum of Art's Motion to Dismiss and issued a stinging rebuke of the case for seizure of the Mask under customs laws.